Which cheeses are you allowed to eat (legal) on the SCD? Follow this simple rule: avoid processed cheeses. Gouda cheese — in small amounts. 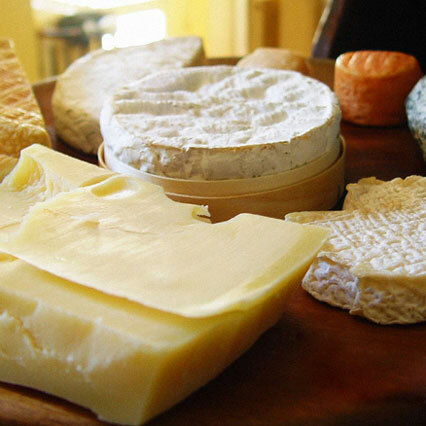 Many irratable bowl disease (IBD) patients have trouble with these cheeses when starting the diet. See if there are any local dairy farms in your area. You’ll get very fresh unprocessed cheese and get to know your local farmers and their animals. seems confusing to say “fresh cheese, aged at least thirty days.” I don’t fully understand cheese, but I know it has to age, and the aging is the fermenting that makes it alright for SCD, so why would it need to be “fresh”, and what does “fresh” cheese mean, anyway. And what’s the problem with Mozarella… I’m very confused and very hungry and don’t know what to eat. Me too, Jack. So confused, as there is much contradictory misinformation on the web. Easiest way to “not” be confused is to stick with what Elaine says in “Breaking the Vicious Cycle”. She and Dr Haas set the guidelines. The web does have bits and pieces that don’t match up with those guidelines…that’s the web for ya. If you don’t already have a copy of the REAL SCD diet, ie…”Vicious Cycle”…..please get one…even if you just go to the library and check out a copy. It even has wonderfully simple recipes. Elaine really explains the molecular structure in an easy to understand way…so we know that if Mozarella is “illegal” that means its particular molecules or digestive properties are really like poison for our systems. I have saved the “legal / illegal” page in my favorites so I can easily double check something….but there’s so much that’s “legal”…. You don’t need to be hungry!!!! Yes, you may need to make some substitutions for things you already love….Only you can decide if it’s worth it to feel better all the time. Please tell me more about natural fermented starter for making your own cheese. I want to start doing that but didn’t know that you could do it naturally. I have been on the SCD diet for over two years now but would like to enjoy homemade cheeses, specifically mozzarella. Anyone have any encouraging words about this diet. I am going to start it within the next two weeks or so. Am slowly weaning myself (for the most part OFF) of the bad carbs. My problem is yeast, and I want to feel better, but am so afraid I won’t make it through for this long period of time. I can’t find any tomato juice without sugar. Some of my meds have a little sugar in them, UGH! Help?? I just started the diet for my sons who was diagnosed with crohnes a year ago. He is craving cheese, like cheddar cheese. Does anyone have advice on when he can start eating that? He is on day 7 of the diet. I love cheddar cheese curds. Are these allowed? Unfortunately, cheddar cheese curds are not aged, which means they contain lactose, and are therefore not legal on SCD. The thing to keep in mind is that you want to eliminate all forms of lactose, which is a disaccharide, and very difficult to digest for many of us. Looking at the list above, there are at least six cheese you can eat freely. A nice onion soup, made with rich beef broth, poured over sliced sweet onions that have been browned in butter then sprinkled with grated swiss cheese is a wonderful, comforting SCD lunch. i see cheddar cheese ”curds” are not allowed. is this the same as normal, store-bought blocks of cheddar such as cracker barrel? or are these ok to eat? the list says cheddar can be eaten freely so i’m hoping so! can anyone help please? Cheese “curds” are fresh cheese, so they aren’t allowed, but they’re also very different from regular cheddar cheese. Curds come in a shape that’s kind of like cheetos, regular cheddar cheese in a brick is okay. Does anyone know about halloumi cheese? On wikipedia it says the fresh cheese curd is placed in brine — which makes me think it might not have bacteria eating the lactose after that, and is likely illegal for SCD? Cheese usually says contains Milk like Sargento Cheddar Cheese slices. how do you know how long it has been aged? should you only buy a package that gives the age then? i am not sure when i should try adding cheese to diet. i am at the basic diet of chicken or beef and cooked carrots due to SIBO (small intestine bacterial overgrowth) seems to finally be working but also took antibiotics too. would like to add foods w/calcium soon but not sure when. worried about trying to add vitamin or supplements since they have illegal stuff in them and i am not sure my stomach can handle supps. Are cheese curds the same as dry curd cottage cheese (DCCC)? Having a hard time finding DCCC. I think i’ve been affected by quark. has anybody else had this issue, is quark off the diet or is it ok? HELP…I can find no source for DCCC anywhere in the Maritimes. Western Creamery has a product called “Pressed dry cottage cheese” with 0.1% and /or 0.5% MF.. with 76 % humidity…. can anyone enlighten me if this is an acceptable product on the SCD… I am a newbie to this whole way of eating. Alpenrose Dairy in Portland, Oregon has dry curd cottage cheese. Western Creamery is ok on the diet. That brand was recommended on a website about SCD. Also, in response to the vitamin question, SCD vitamins can be bought at Lucy’s Kitchen website for SCD as well as other resources. I was also told that Jamieson vitamins have less/no sugar than other brands. I still have to check that out, though. I dont eat dairy but do use goat products. Is this ok? Goat gouda ok? ?